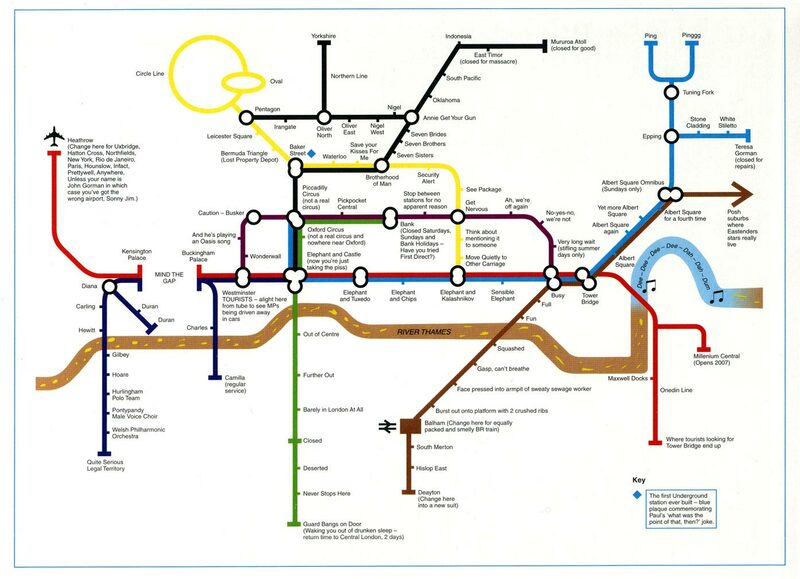 This is a great alternative rendering of the map of the London Underground. Many years ago, I used to go out with a guy who lived in Ongar, so I have painful memories of the weeks it seemed to take to get from central London to deepest, darkest Essex on the Tube. Once--on a return trip--a drunk man fell asleep on my shoulder somewhere around Theydon Bois. In typical British fashion, I was too embarrassed to move somewhere else and wake him up.